It’s been awhile, but it’s time once again to shine the light down on another deserving Kickstarter project with the latest installment of Let’s Kickstart This time, we take a look at a trivia game show featuring one of pop cultures most iconic figures: Bruce Campbell. 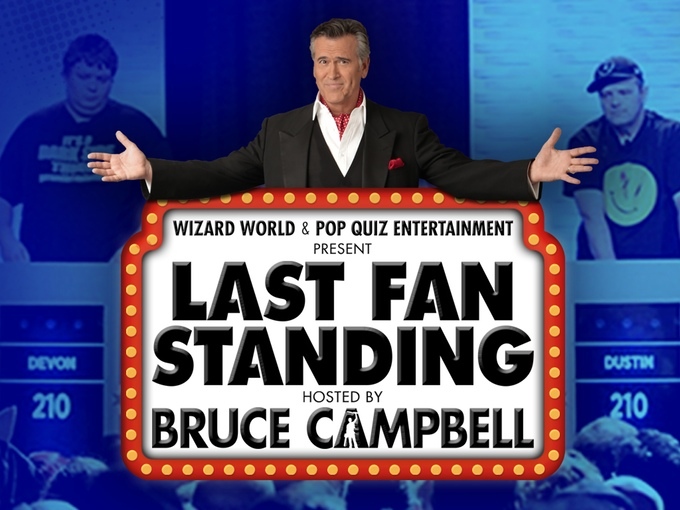 Earlier this year, Last Fan Standing hosted by Bruce Campbell filmed 10 episodes at 2 conventions with 4 episodes shot in New Orleans and 6 in Portland in front of a live audience at Wizard World. Everyone in the audience was given a clicker and a chance to compete. Thousands of well versed, knowledge filled conventioneers competed in a no holds bar trivia tournament. This year, we’re doing it all again, but it’s going to be bigger, better, and even more Bruce-ier. Well, now it’s time for the world to be a fan of you. Flex your trivial knowledge in a game show designed specifically for fans! You’ve never seen a game show like this before. Last Fan Standing features contestants on our show who have PROVEN to have the best knowledge in the group. We don’t do any of that ‘casting’ junk, if you’re a fan, and you know stuff. You have a chance to compete. This Kickstarter not only aims to fund a second season, but to upgrade the show in every way: better production, better visuals, a better traveling set to go from convention to convention, and more. Check out the Kickstarter page at https://www.kickstarter.com/projects/1774323088/help-bruce-campbell-fund-the-last-fan-standing/ and back it, share it, and let’s make Bruce Almighty’s show a reality once more. Previous Loeb & Sale Re-Unite For New Look at CAPTAIN AMERICA: WHITE #1!